Chances are you are just beginning to get adjusted to Google’s widely-talked about search engine result pages (SERPs), but you may not have noticed the smaller details that have been tweaked to make the page look clean and coherent. For example, several eagle-eyed members of the SEO community have noticed that the redesign appears to have affected the visible title tag length for results. The title tag, or the blue clickable link in the Google search results, doesn’t really have a defined number of characters allowed. It isn’t like Twitter, where you have a hard character limit. Instead, Google uses an algorithm to determine exactly how many characters are shown. 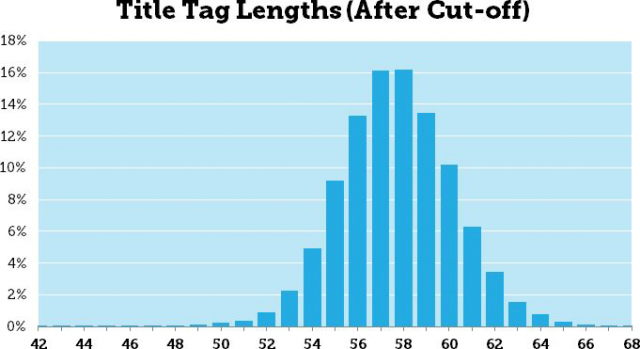 Obviously, Google hasn’t disclosed the details of their algorithm, but Pete Meyers from Moz says the title lengths range from 42 to 68 characters allowed, with most showing 57 to 58 characters. Most importantly, this change has no direct impact on rankings. Google still reads your entire title and uses everything to helped determine rankings. However, this could make some titles less click friendly or attractive as they used to be. You won’t be punished directly by Google for using the same strategy you previously have for titles tags, but you might refine your technique slightly to keep future titles as appealing to readers as possible. It’s no question that social media has become one of the most prominent aspects of online marketing. As Facebook and Twitter have become ingrained in the public consciousness, companies and search engines alike have recognized the value and social media marketing has become intertwined with SEO and advertising to the point that it can be hard to tell where one stops and another begins. But, as with any new field of marketing, there are bound to be plenty of missteps, gaffes, and wildly ill-advised attempts. For every brand that is killing it on Instagram and Twitter, there are just as many who have found that social media can also magnify your mistakes and make a PR issue into a complete catastrophe. Thankfully, there is always something to be learned from the mistakes of others. Search Engine Journal recently shared a list of 35 of the most remarkable social media failures in recent history. As they explain, the point isn’t to laugh at those who have made huge mistakes on social media (though it is hard not to laugh at some of the entries). Instead, you should take note of how fine the line is between viral and bad taste, as well as how important it is to keep your cool in times of crisis. We try to keep our readers and clients updated with all of Google’s biggest news, whether it be redesigns, guideline changes, or newsworthy penalties. It makes sense, as Google currently receives over half of all searches made every day. But, even those of us who keep a careful eye on the best guidelines and policy trends of the biggest search engine can end up outright confused by Google occasionally. A story reported by Danny Sullivan yesterday happens to be one of those situations. Google has been outspoken against guest blogging or guest posts being used “for SEO purposes”, and they have even warned that sites using these questionable guest posts could be subject to penalties. However, the latest story claims that Google has penalized a moderately respected website for a single guest post. Most interesting, the post was published well before the guidelines were put into place and seems to be relevant to the site it was posted on. The penalty was placed against DocSheldon.com, which is run by Doc Sheldon, a long-time SEO professional. Recently, Sheldon was notified that a penalty was placed against his entire site. The penalty report informed Sheldon that Google determined there were “unnatural links” from his site. So far, this is the typical penalty put against those who are attempting to run link schemes of some form. But, obviously someone who has been around as long as Sheldon knows better than that. So what were the “unnatural links”? It took an open letter from Doc Sheldon to Google, which he then tweeted to Matt Cutts, one of Google’s most distinguished engineers, to get some answers. 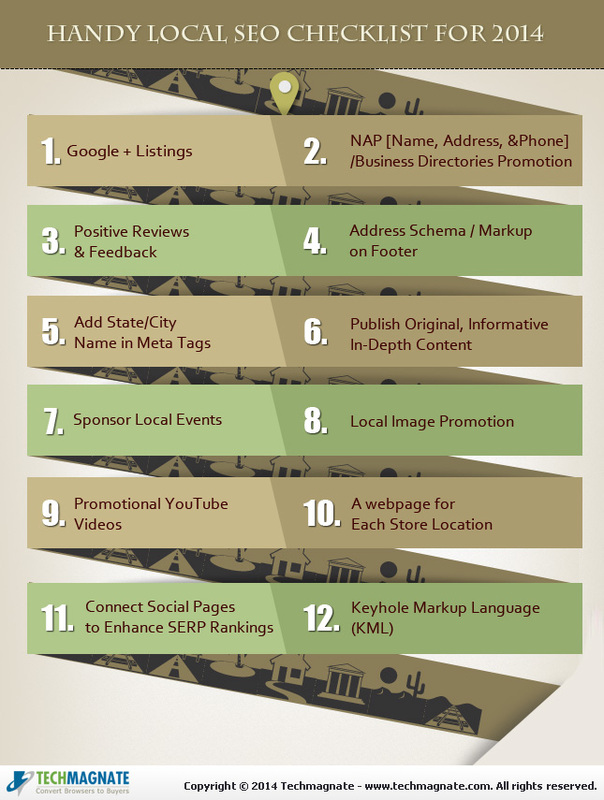 @DocSheldon what "Best Practices For Hispanic Social Networking" has to do with an SEO copywriting blog? Manual webspam notice was on point. Cutts mentions one blog post published to Sheldon’s site, which appears to have been written in March 2013. The post is exactly what the title suggests it would be (“Best Practices for Hispanic Social Networking”), but it contains two links at the end, within the author’s bio. One of the links takes you to the author’s LinkedIn page. The other, however, claims to take people to a “reliable source for Hispanic data”, which leads to a page that appears to be closer to a lead-generation pitch about big data. That would be a fair criticism, but if you take a closer look at the top of Sheldon’s site, he doesn’t claim the site to be limited to SEO copywriting. In fact, the heading outright states that the site relates to “content strategy, SEO copywriting, tools, tips, & tutorials”. You may take note that social practices for any demographic could certainly be relevant to the topic of content strategy. So, as the story stands, Google has levied a large penalty against an entire site for a single blog post with one questionable link, all because they decided it wasn’t on-topic. Does that mean Google is now the search police, judge, and jury? Sadly, it appears so for the moment. Little appears to have changed since the story broke yesterday. DocSheldon.com is still dealing with the penalties, and Google hasn’t backed down one bit since the penalty was sent. It goes without saying, the events have sparked a large amount of debate in the SEO community, especially following the widely followed penalty placed against the guest blog network MyBlogGuest. The wide majority agree this penalty seems questionable, but for the moment it appears it is best to stay under the radar by following Google’s policies to the letter. Hopefully they will become a bit more consistent with their penalties in the meantime. Late last week the SEO community had a good laugh at the expense of a self-proclaimed SEO expert who openly tweeted at major brands about renewing link buys. It appears the links were initially bought through iAcquire shortly before the service was penalized for participating in link buying schemes, and now that they are expiring, a former client is attempting to reach out directly to the link buyers. The conversation that caught the eye of the SEO community was a long and outright discussion between “Vince” (@VitaliyKolosWDL) and T-Mobile. Search Engine Roundtable managed to screenshot the entire conversation before T-Mobile wisely began deleting their responses. Interestingly, “Vince” hasn’t deleted any of his tweets despite openly talking about selling links and even linking to the page being used to sell links. Cutts wasn’t the only member of the webspam team to notice, either. Brian White also tweeted at “Vince” with a mocking photo of himself using an Android cookie jar like a phone. While the person tweeting to companies hasn’t deleted anything, it does appear their website has been penalized already. It took five days since the first tweets started to appear, but unsurprisingly Web Design Library has tumbled down the search results. Search Engine Watch says the site was appearing on the 8th page on a search for [web design] on Monday, but come Tuesday the site didn’t pop up until the 48th page of results. If you haven’t gotten the notice that selling links can get you in trouble, take this opportunity to look up the numerous other sites that have learned the hard way. Google is treating both those who buy and sell links harshly, and they show no sign of stopping. If “Vince” was as educated in SEO as he claimed, he would have already known this and he definitely wouldn’t have been using an open forum like Twitter to talk about it. Still hesitant about finally making the leap and getting your business online? There are countless business owners who find themselves still on the fence about expanding your brand’s business on the internet. Some are worried about the resources available, the skills needed to make their business shine, or whether their business will actually benefit from going online, but all of those questions can be easily addressed. You just have to be ready to really invest in expanding your brand in a new way. Today marks the start of Get Your Business Online Week, so there is no better time to make the leap to the internet. Every year Google partners with local businesses and partners to provide free virtual workshops for business owners and anyone else with an internet connection. You will be able to speak with businesses that have already prospered online such as Barkbox, GoldieBlox, and Dollar Shave Club, and full tutorials and demos will be offered throughout the week to help you understand all the steps of building a website and establishing your brand. Best of all, Google is doubling down on the direct link to speak to their experts with their Helpouts by Google. If you still can’t decide whether now is the time for your business to take charge of their online presence, consider that Green Mountain Bee Farm in Fairfax, CT. experienced a five-fold increase in sales by simply expanding their business online. Meanwhile, Christine Fitzpatrick Hair and Makeup in Birmingham, Mich. managed to attract 50 percent more clients than they had before getting online. It turns out everyone but Ann Smarty was right, as Cutts announced on Monday that the guest blog network had been taken down, and MyBlogGuest vanished from the rankings, even for branded terms. Eventually Smarty even confirmed the penalty through Twitter. MyBlogGuest has been running since 2009, and estimates they were averaging 256 articles posted per day at their height. But, the big problem is that MyBlogGuest had a very open policy on linking and refused numerous times to make it possible for links to be nofollowed. Jennifer Slegg refers to MyBlogGuest’s true purpose as a “well-known secret” in the industry. Numerous agencies were using MyBlogGuest to promote their clients, while supporting writers who would sell links openly. The website community embraced both, making the more questionable actions wildly obvious to anyone paying attention. Notably, it seems that MyBlogGuest isn’t the only entity being punished in this action. Even sites that were only benefiting from the guest blog network’s policies are being struck with manual action penalties. When Cutts made the announcement that Google had penalized the guest blog network, many speculated that sites who had been heavily using the network would also get cut down to size. Then, many sites began to notice manual actions appearing in their Webmaster Tools, but there was no clear confirmation the two were related. That is, until Cutts cleared up the situation somewhat by tweeting that Google is acting against sites that benefited from any spammy behavior on the site, which could range from running blogs hosting guest posts or benefiting from the bad links. I could almost feel sorry for the owners of the associated sites being penalized for these behaviors, but Google has been warning about penalties for months without taking action. There has been plenty of time to cut away from questionable guest blogging practices and platforms, but many like Ann Smarty believed they could circumvent the rules. In the future, it is better to just follow the guidelines, rather than becoming the face of a new spammy industry’s downfall. 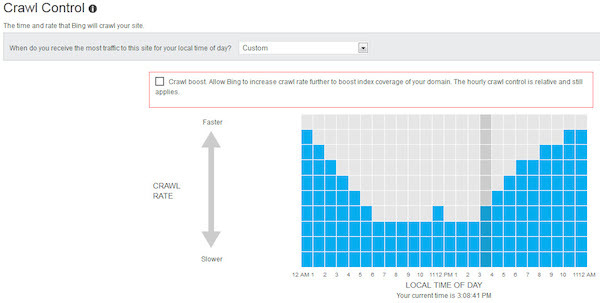 Why Should You Be Using Bing’s Webmaster Tools? Big may not get all the praise and attention of Google, but they have been steadily growing their audience for years. They still have a ways to go in search traffic to be realistic competition for Google, but Bing has expanded their search abilities and community to the point where it is a mistake to completely neglect the search engine. If you are a webmaster, chances are you already use Google’s Webmaster Tools, but it is shocking how many don’t bother to signup for a Bing’s Webmaster Tools at the same time. Just like Google’s tools, Bing’s Webmaster Tools make a huge variety of data available to you to help inform your SEO practices and identify any potential issues. Most importantly, Bing’s Webmaster Tools are the primary line the search engine uses to communicate about issues with site owners. If you’ve used Google Webmaster Tools, you probably already have a good idea of what you can accomplish with Bing’s and you can probably make your way around the tools on your own. But, if you’re new to webmaster tools or want to know all the cool things Bing’s Webmaster Tools can do, Simon Heseltine has shared a guide to the tools at Search Engine Watch. Get yourself familiar with the tool, then make sure you sign up. There is no reason you should be missing out on such a free, versatile and important set of tools for your website. Taylor Ball https://www.tulsamarketingonline.com/wp-content/uploads/2018/07/TMO-Logo.png Taylor Ball2014-03-19 12:09:382014-03-19 12:09:38Why Should You Be Using Bing's Webmaster Tools? Search engines have been attempting to get local search right since the invention of the internet, but they have only managed to make local search a major player as smartphones have allowed us to take the internet everywhere we go. Now that we can search for locations nearby, or double-check the time of the next bus from a bench outside, local SEO has gained real importance in how we organize use the web. That also means it is more important than ever for businesses to make the leap into establishing an online presence. With the high level of connectivity in the modern day, not having an online presence for your business is becoming more and more like not existing. Searchers may be standing right in front of your business and decide not to come in simply because they can’t find anything about you online. To really get your business cemented online, you need to do more than put a site online and wait for visitors. But, many places will barrage you with a million optimization techniques you can use to raise your visibility all at once, so it can be hard to know exactly where to start. Sarvesh Bagla made a checklist specifically so you know what you need to have done right now to expect your local business to have any online success. Each step is laid out and explained in Bagla’s article on Tech Magnate, but they also created a nice graphic that you can keep close by, which can be seen below or printed off and hung by your computer to keep you on track. Will 2014 Be The Year Mobile Overtakes Desktop Search? It is no secret that our use of the internet is becoming more and more mobile, but the day when we actually favor mobile search over desktop connections may be sooner than previously thought. While speaking at SMX West last week, Google’s Matt Cutts told the crowd he “wouldn’t be surprised” if mobile search exceeded desktop queries by the end of this year. Another Google speaker during an informal round-table gave a similar comment at the International Franchising Association conference in New Orleans earlier this year. Google refused to give an official statement, but it makes sense. Google doesn’t want anyone to be picking sides. Instead, they want to focus on cross-platform experience and marketing so that we can make the internet equally efficient and useful on every platform. The comments are assumed to be referring to the global query volumes rather than the US or North America. Globally mobile traffic lies around 30 percent of all internet traffic, and North America has relatively similar ratios. 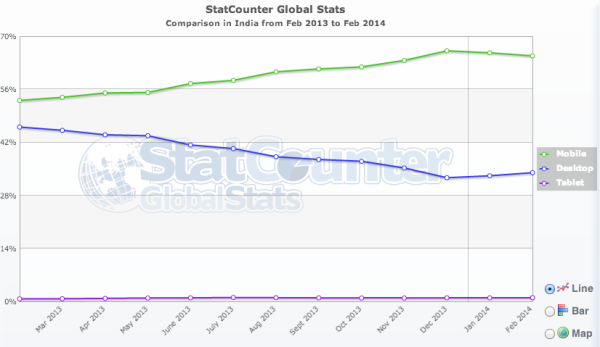 However, many developing countries, such as India, already use mobile search far more often than desktop. It is inevitable that one day mobile and desktop traffic will either reach a stalemate, or mobile traffic will begin to eclipse home desktop use. But, whether it will be this year is anyone’s guess. Personally, I’d be wagering on sooner rather than later. Taylor Ball https://www.tulsamarketingonline.com/wp-content/uploads/2018/07/TMO-Logo.png Taylor Ball2014-03-17 13:40:012014-03-17 13:40:01Will 2014 Be The Year Mobile Overtakes Desktop Search? By now you’ve probably noticed your search results don’t look like they used to. Google told the public their new look was just an experiment earlier this week, but now everyone is getting to see Google’s search results pages with the new design. Jon Wiley, Google’s lead designer for Google Search basically made the announcement the new style was rolling outto desktop when he said on Google+. “you may have noticed that Google Search on desktop looks a little different today.” He specifies desktop users because the style was showing up much more prominently on mobile before the full roll-out. There are bound to be plenty of complaints about the redesign. I personally don’t enjoy it as much as the old style, but most will acclimate to it fairly quickly. But, it isn’t a high-profile site redesign unless people initially throw a small tantrum in the meantime. You can compare the old and new designs below.